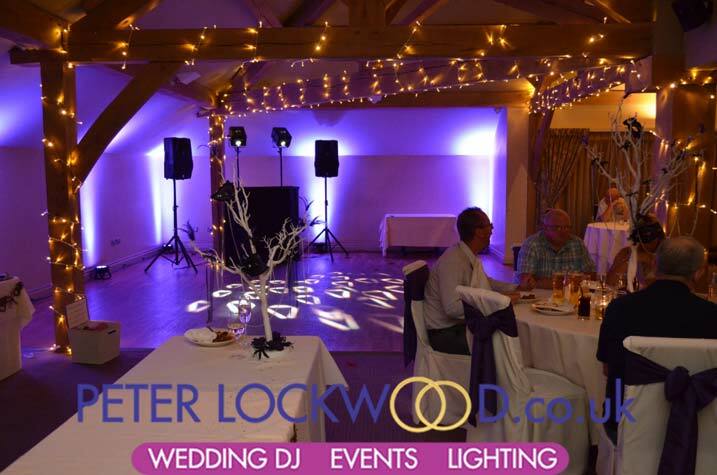 White Hart Wedding Lighting I have provided wedding lighting in the White Hart Inn many times from a few lights around the dance floor to full room wedding uplighting, fairy lights around the oak beams and the atrium, festoon lighting inside or outside in the pavilion. 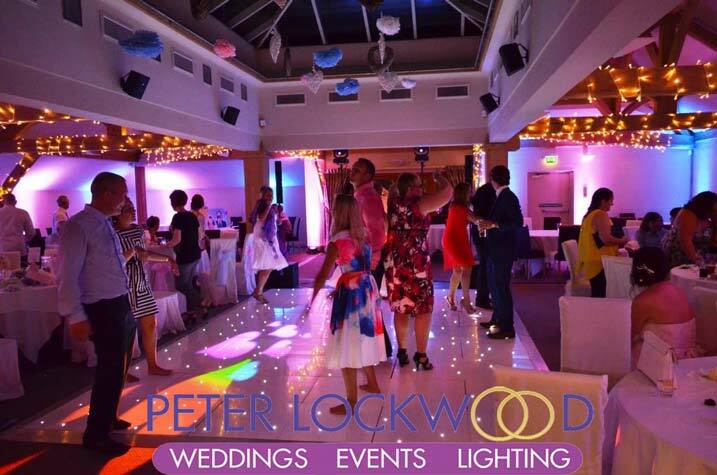 I have a few pictures here to give you a idea of what I can provide, if you dont see what you want get in touch as I love trying out new lights and ideas. 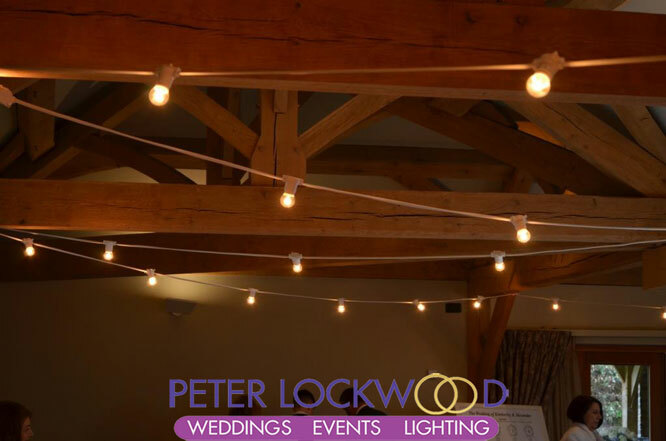 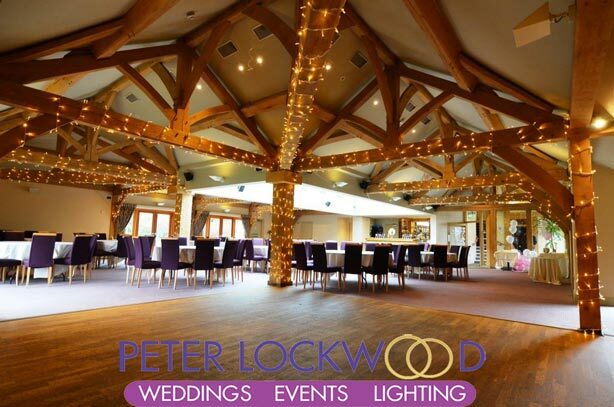 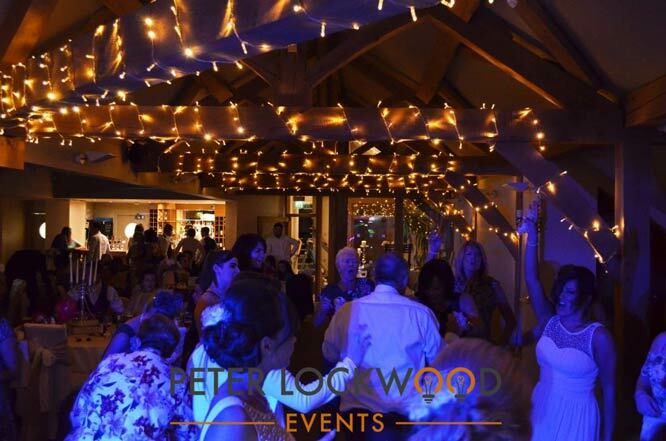 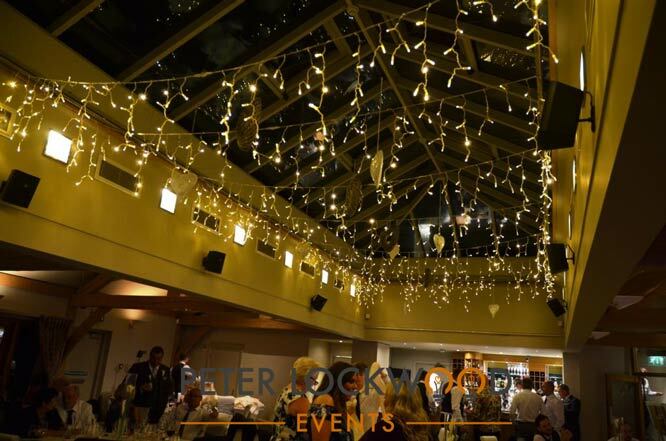 Festoon lighting is a great option in the White Hart I have fitted festoon lighting for weddings in both the Oak room and the Pavilion. 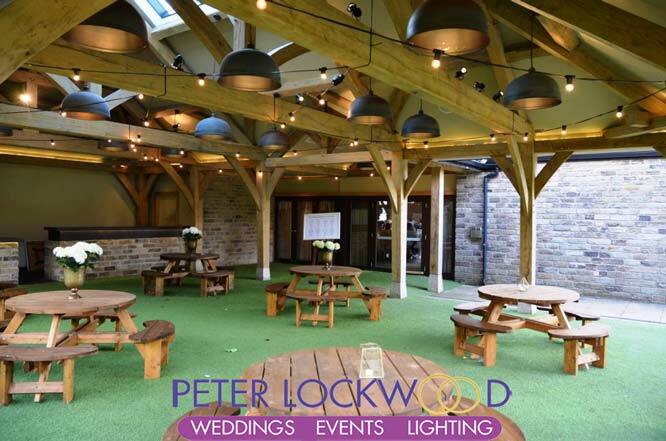 For the Oak room I would go with White Cable Festoon lighting and Black in the Pavilion. 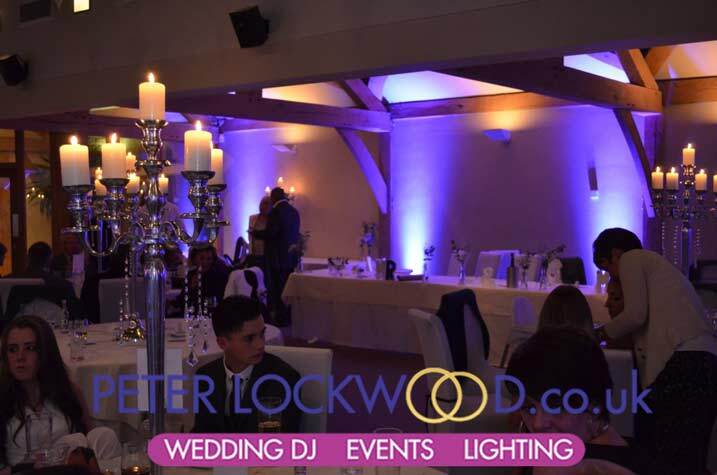 If you are looking for Wedding Lighting in the White Hart please get in touch for a quote or a chat about what I can provide for your big day.